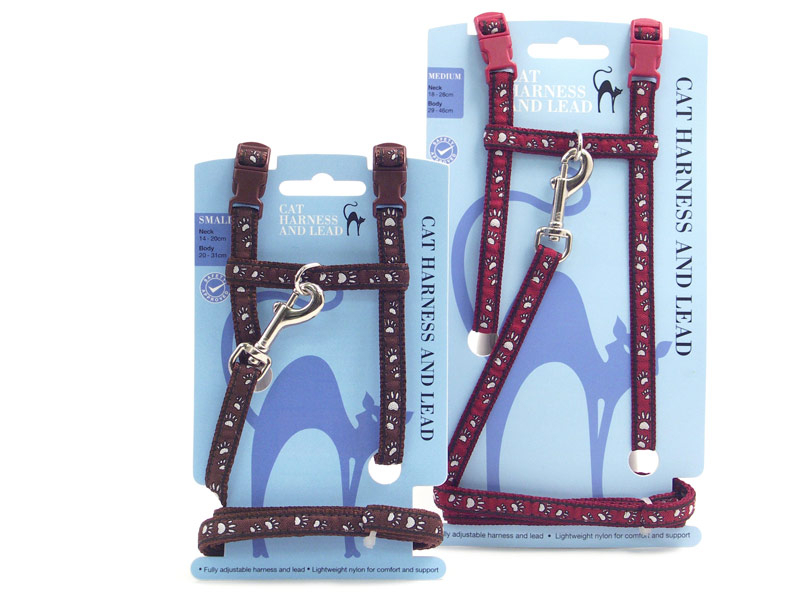 Adjustable H Style harness with easy to fit quick release buckles. Made from high quality, soft nylon fabric. 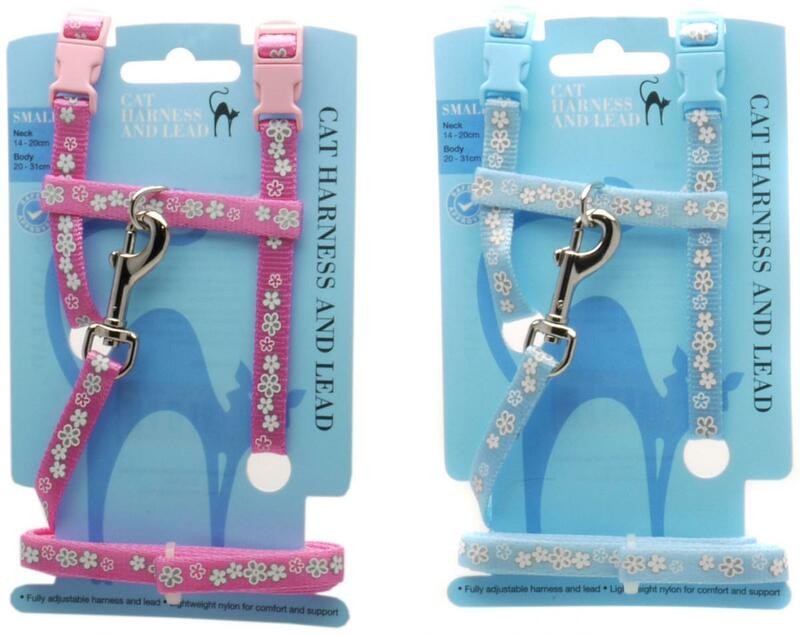 Small: fits neck size 14-20cm, Body size 20-31cm. Medium: fits neck 18-28cm, Body size 29-46cm. 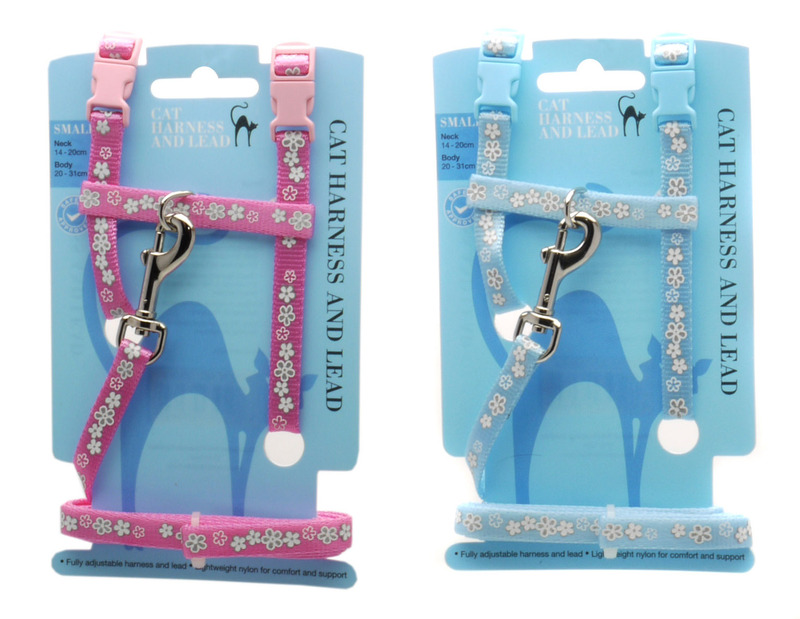 There are currently no questions for Catwalk Collection Assorted Cat Harness And Lead Sets - be the first to ask one!